Above: In this picture is a Premium Bumblebee Shrimp, swimming in one of our aquariums, when one of us snapped this picture. Comment: These are fabulous Premium Shrimps that we never see in live fish stores. These Shrimps are more energetic, and show better colors. Origin: The ancestors of these Shrimp lived in Japan, Taiwan, and Korea, but these Shrimp are now found in aquariums throughout most of the world. Maximum Size: In aquariums, these Shrimp can grow to be about 1.5" long, including their tails. Behaviors: These Shrimp are a very good addition to any aquarium because they eat lots of algae, which reduces the amount of algae that grows on aquarium plants. These Shrimp also eat tiny bits of food, which improves the quality of the water.They're not aggressive. Compatibility: Some recommended tank mates include, Corydoras Catfish, small Tetras like Neon Tetras, small Rasboras, Honey Gouramis, and other small fish. Clickhere to read more about compatible groups of pet fish. Temperature: They live pretty well from about 60 to 80 degrees F., but they're probably most comfortable from about 70 to 75 degrees F. Click here to learn about aquarium temperature, aquarium thermometers, and aquarium heaters. Feeding: They eat algae and tiny bits of leftover food. Water Conditions: They are tolerant of pH from 6 to almost 8. Probably a pH of about 7 with moderate hardness is best. Most water in the US seems to be OK, so it's probably best NOT to adjust the pH or the hardness of the water. Here in our facilities the water is hard and the pH is usually about 7.8. We ship them in this water. Click here for a lot more information about aquarium water conditions. Aquarium Size: Any size aquarium or fish bowl is adequate. Decor: They do not need gravel in an aquarium with a good filter, and a layer of gravel more than 1/4" thick will usually fill with bits of uneaten food that will contaminate the water. Click here for more about aquarium gravel. Live plants are beautiful, improve the water quality, and are enjoyed by these Shrimps, and they will carefully groom the plants by removing some types of algae. All types of Aquarium Plants are compatible with these Shrimp. Non-toxic driftwood is also very good. Click here for more about aquarium plants. 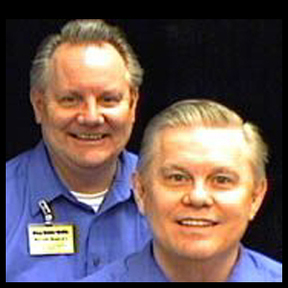 Aquarium Filter: They can live in a fish bowl with only a thin layer of gravel to biologically filter the water. In aquariums we almost always recommend a Bio-Wheel Filter. A Penguin 100 in an aquarium with 10 to 20-gallons of water is ideal, and aPenguin 200 is the right size for a 20 to 30-gallon aquarium. Click here to learn more about aquarium filters. Life Span: These Shrimps can live for a few years. Gender: Females are usually quite a bit bigger than males of the same age. The patterns on the sides are slightly different, but the differences are difficult to describe. The male's underside is usually flat, but a females is rounded and a lot of times they will be carrying eggs, so her underside will be darker. Breeding: The babies of these Shrimp are very small, and so they're very difficult to raise in an aquarium. Popularity: These Shrimp are now very popular. 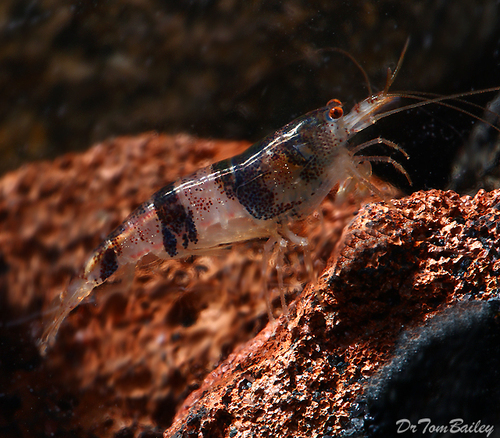 Names: The scientific name for this Shrimp is Caridina breviata. Variations: We are not aware of variations. Click here for a lot more information about keeping and caring for Pet Shrimps, including a picture gallery.